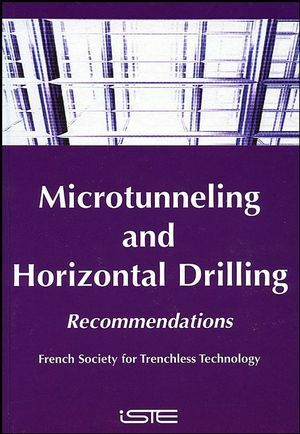 This book includes recommendations prepared by members of the French Society for Trenchless Technology (FSTT), based on their recent national multi-year project. Comprehensive guidelines, techniques and theories in the areas of both microtunneling and horizontal drilling are given, encompassing the fields of application for each method, what investigations should be undertaken, which machines and equipment should be used, how the work should be managed and potential problems that may arise. The International Society for Trenchless Technology or ISTT is an organization founded in 1986 to promote and advance Trenchless Technology. ISTT encourages the formation and affiliation of societies sharing its objectives world-wide. There are now more than 20 such Affiliated Societies in 6 continents. Each is entitled to nominate a Director on the ISTT Board. For efficient day-to-day running, an Executive Sub-Committee is empowered to act for the full Board.